When I go shopping for her gift, I run in to 2 problems: First of all, I’m shopping for someone who seems to have everything already. Secondly, I’m working with a limited budget. But somehow I always seem to work it out. 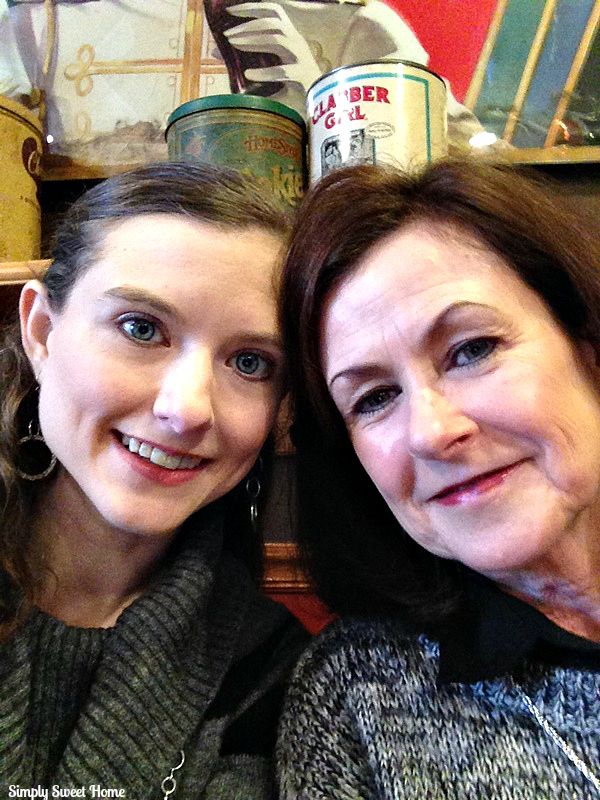 Today I’ve got a couple of gift ideas for Mother’s Day that are luxurious AND affordable! You can find all five of these lovely perfumes in the fragrance aisle of the health and beauty section at Walmart. 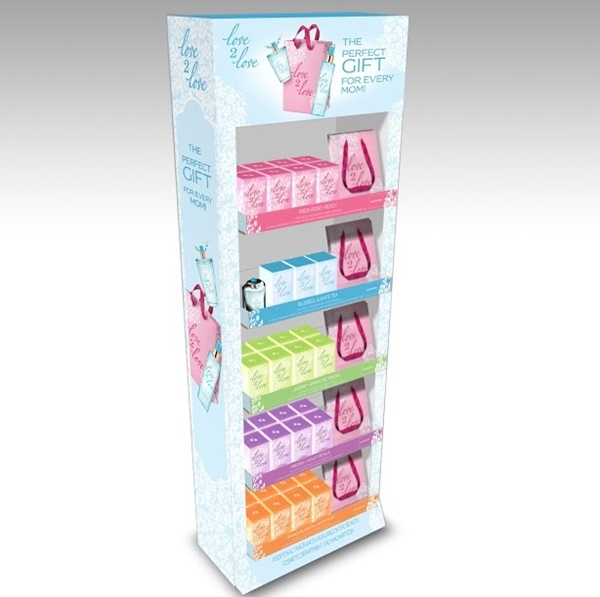 This May participating stores will also have a special end cap display featuring the fragrances, including their newest product, the Bluebell + White Tea fragrance. 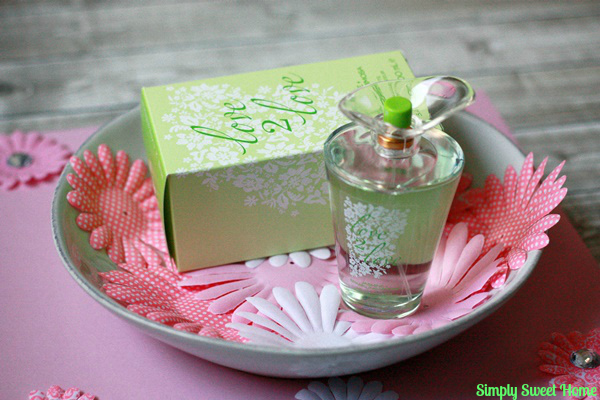 With such a variety of beautiful scents and its affordable price point, you can easily get a bottle of Love2Love fragrances for every mom on your list (including yourself). 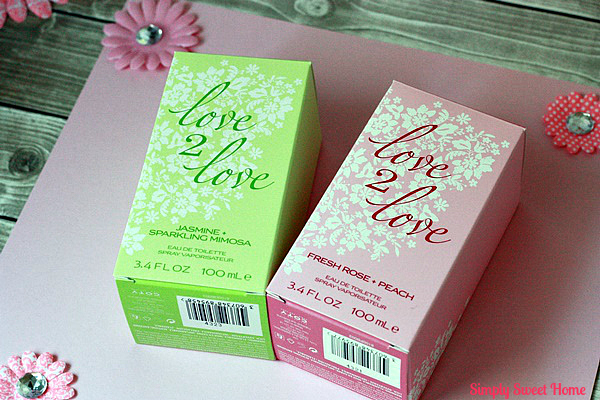 For myself and my gifting purposes, I purchased the Fresh Rose + Peach and the Jasmine + Sparkling Mimosa. Both of these smell lovely, and I’d highly recommend them! I like giving gifts like perfume and other beauty items, because a lot of ladies (especially moms) think of these as luxury items and may not always treat themselves to these type of indulgences. Luckily I’ve found ways to indulge in the beauty and spa experience the affordable way: just make your own products for a spa experience at home! 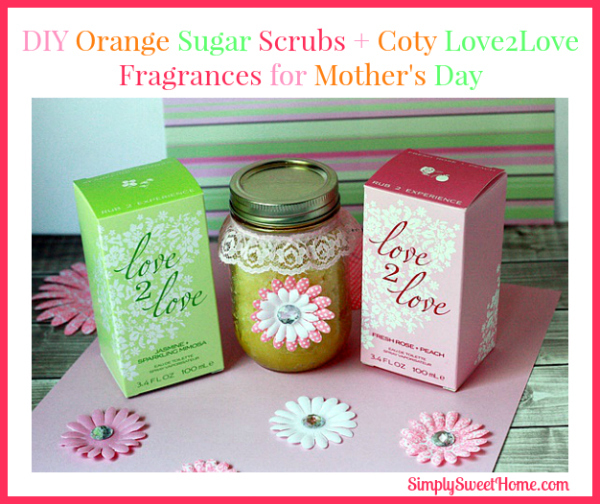 As a companion to the perfume, any mom would love a nice sugar scrub. These are easy to make and oh-so-affordable! You can make these with a variety of ingredients and scents, and today I’m sharing a recipe that only takes 3 ingredients. If you read my post title, you saw that it’s an Orange Sugar Scrub. The sugar in this scrub serves to exfoliate the skin, and I could have added any essential oil I wanted, but I chose to use orange essential oil, because of its antioxidants and anti-aging properties. The orange promotes the production of collagen as well as increases the blood flow to the skin. It’s also anti-inflammatory, and it will help to sooth your dry, irritated skin. Here’s how you make it! Pour sugar in a medium sized boil. Add olive oil. Mix until well combined. Stir in essential oil. Once combined, place in a sealable jar or container. To use, open the jar. Give your sugar scrub a stir (as the oil will likely separate from the sugar once set). THen grab out a small amount of scrub with your adds. Add a tiny bit of water and start exfoliating your skin, rubbing the sugar scrub on your skin in circles, either using a sponge, washcloth, or your hands. Once the sugar is melting, rinse away the scrub and dry your skin. It should leave your skin feeling soft and smooth. **This recipe is enough to fill a pint size mason jar. 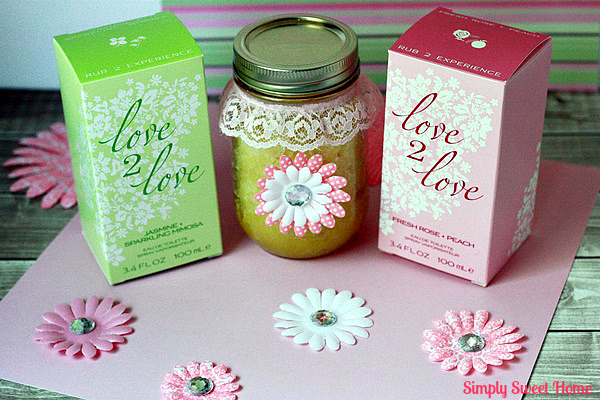 Divide up in to 8 oz jars or 4 oz jars to make for gift giving, if you prefer. *The olive oil is a carrier oil in this recipe. A carrier oil is a base oil or vegetable oil used to dilute essential oils and absolutes before they are applied to the skin in massage and aromatherapy. Other recommended carrier oils you may use for this recipe instead of the olive oil include Vitamin E oil, coconut oil, and grapeseed oil. 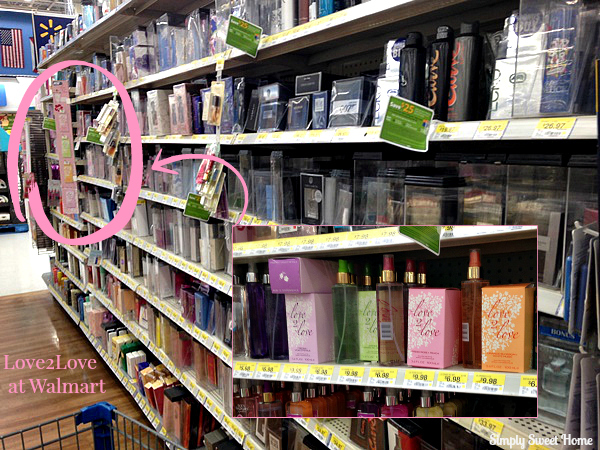 Visit your local Walmart to pick up a bottle of Love2Love. Which fragrance do you think you’d buy? Let me know by commenting on this post. The Orange Blossom + White sounds great to me. 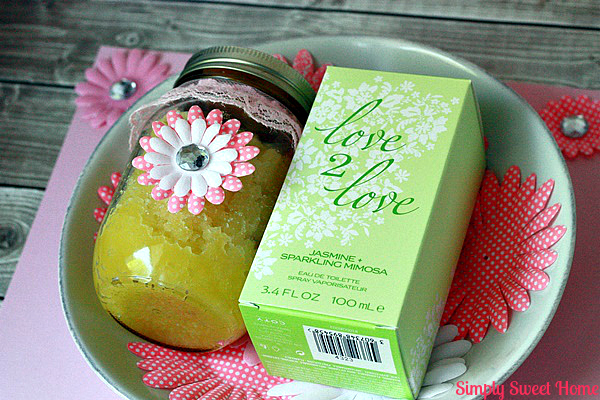 I love the way the jar is decorated, it’s so pretty and really does seem like a great gift. I know I would love to receive it. I would love to try the Bluebell + White Tea fragrance! Your homemade scrub sounds wonderful too!! Perfect for gift giving!